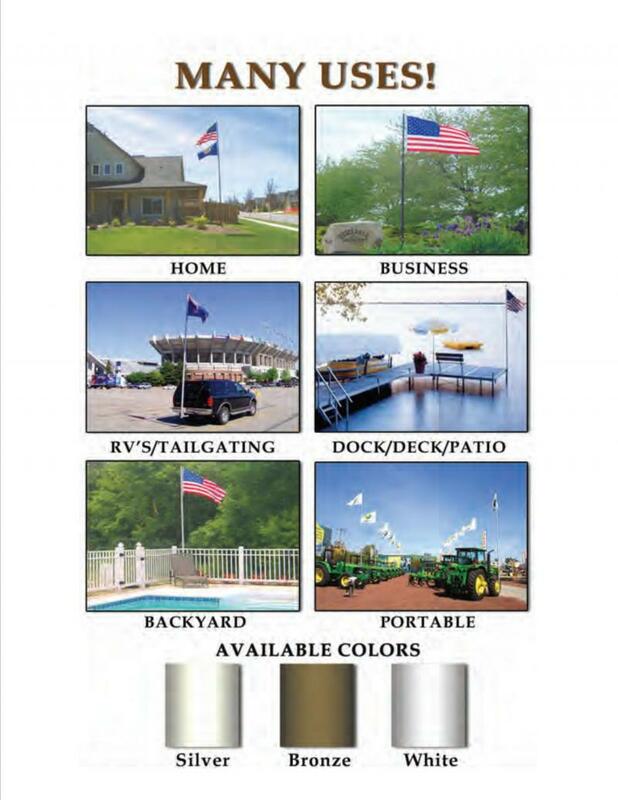 The Titan Telescoping Flagpoles are superior in quality to anything on the market today. They are proudly made in the USA and are made with only the finest materials inside and out. 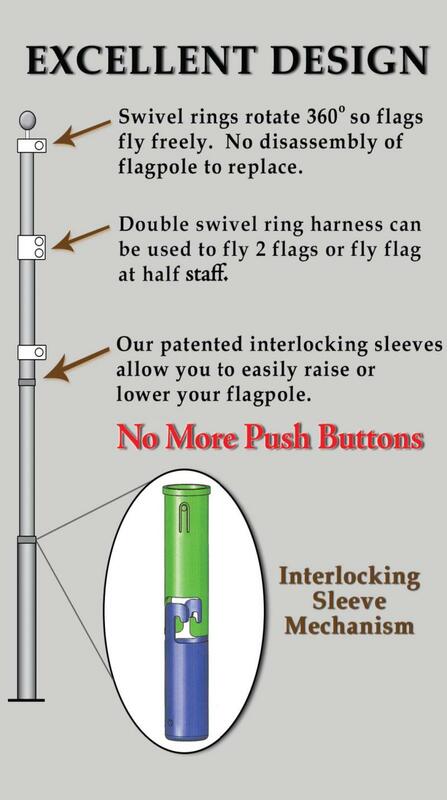 Each Telescoping Flagpole is backed with a 7 Year Warranty and withstands wind over 95 mph. The poles have NO Ropes, NO Chains, NO Pulleys so you do not have to worry about knots and tangles. Also, this makes our flagpoles virtually NOISE F﻿ree﻿ ! The Titan Telescoping Flagpole is made of sturdy aircraft grade 16 gauge aluminum with an hard coat anodized finish making this flagpole MAINTENANCE FREE, no need to worry about rust or painting. TheTitan Telescoping Flagpole has patented Interlocking sleeves which allow you to raise each section of the pole without any pins or holes in the flagpole. The swivel harness which the flags are mounted on, are made of lexan and allow the flag to fly "Freely" 360 degrees around the pole, preventing the flag from wrapping around the pole. Less wear and tear on "Old Glory." The 20' and 25' flagpole come with an amazing 3" base diameter which is 30% stronger than other telescoping flagpoles. It also has 7 times the bearing surface which will reduce wobble in-between the sections. 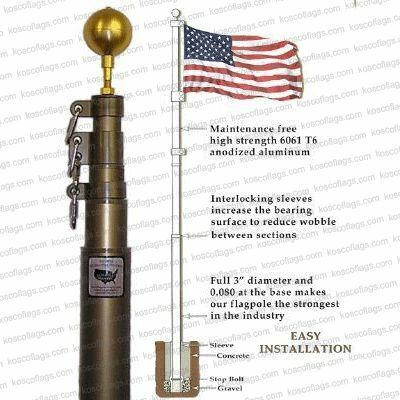 Each Flagpole comes complete with a 3" gold ball, double flag harness, ground sleeve, premium 4'x6' US Flag (3'x5' on our 16') instruction sheet and 7 year warranty card.